As we head into spring/summer the season hots up in more ways than one, as the weather gets a little warmer and the competition gets fiercer. 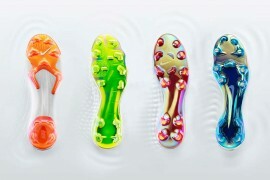 Ahead of the hotly-anticipated reveal of their next World Cup ‘Pack’, Nike have revealed their last batch of colourways for the season. With Crimson and Vibrant Yellow at it’s core, the Summer ’14 editions of Nike’s football boots are sure to pop on the pitch and look the business; rain or shine. In it’s final ever colourway, the Nike CTR360 III is kitted out in Total Crimson and Black before it’s phased out in favour of the new Magista Obra. The ‘all-over’ effect of the Crimson creates a distinctive look for Nike’s ‘Control’ focused football boots that really makes them noticeable in the training sessions we’ve spied them in ahead of the weekends games. The Hypervenom Phantom continues the unified look of the previous Neo Lime colourway with Vibrant Yellow new look. The Nike branding is contrasted in black on Nike’s boot designed with the attacker in mind, and has that ‘deadly’ aesthetic that the Hypervenom is famous for down pat. 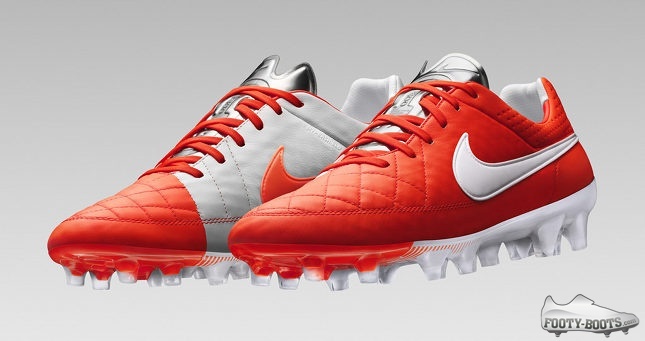 Nike’s heritage and comfort-focused cleats, the Tiempo Legend V, tread familiar territory with their latest Crimson / White editions. Re-using one of the more popular colourways of the Tiempo Legend IV, the V’s leather looks every bit as good in Crimson as it does in the White, Black and Desert Sand colourways we’ve seen thus far. The collection is rounded out by the latest Flash-Forward edition of the Mercurial Vapor; with Nike reserving each colourway of their iconic speed boots for a special edition throwback colourway to count down to the launch of the Vapor X. Which is your favourite of the bunch? Let us know in the comments! 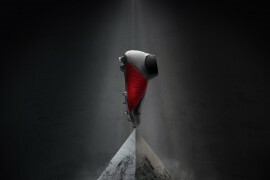 Previous articleIXO – Super-Car Shinpads?